Now that I’ve gotten that needless disclaimer out of the way, we can get down to business. Even overly analytical types like me need to unwind every now and then. In such cases, nothing does the trick better than a rap video featuring a bevy of voluptuous strippers. Such clips usually accompany uptempo, raunchy party records. The latest bit of such recreational material comes from Ludacris and Gucci Mane, under the title "Shake N Fries." Though I acknowledge Luda’s talent, I’ve never been a huge fan of his save for a handful of songs. These days, his comedic, irreverent shtick seems especially tired. Perhaps in a bid to remain relevant, many of his recent hits have been geared towards the skrip clubs. 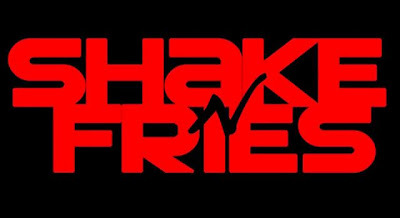 “Shake N Fries” is no different, and wears its crass intentions on its sleeve. This time out, Luda enlists the help of Gucci Mane. The prospect of these two performing a duet is hardly enticing. Thankfully, the lyrically challenged featured guest is confined to the hook. The beat sounds like it was pieced together on a Speak & Spell and then outfitted with the requisite hand claps and 808 kicks. The unremarkable song is accompanied by some truly remarkable scenery. Bodies are contorted into various pretzel shapes and booty cheeks jiggle like Jell-O molds. Virtual lap dances are handed out like Halloween candy. The 80’s graffiti motif had me expecting the dancers to start doing windmills and backspins at any moment. Videos like these hardly need any amount of critique or analysis. “Shake N Fries” speaks a universal language that any heterosexual male should be able to understand. Those who need translators, interpreters, or subtitles should seek professional help immediately.